Margaret Thatcher died. And almost nobody seems to be sad about that. On the contrary, the venom has been flowing. 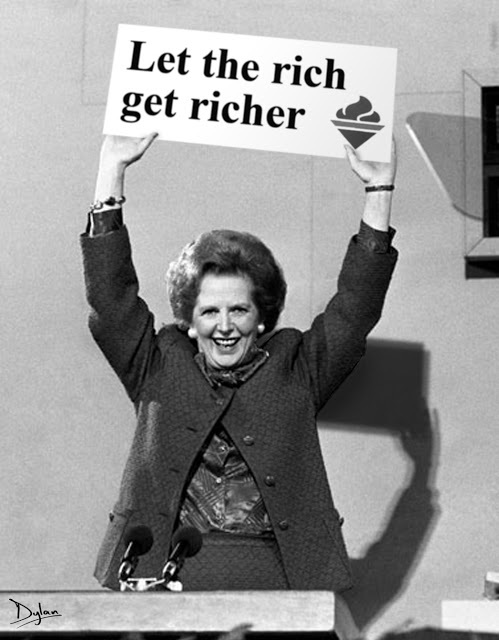 As an American, and a teenager at the time, I remember Thatcher's opposite number here in America, Ronald Reagan, and how we were experiencing many of the same difficulties here: homelessness, de-institutionalization of the mentally ill, the vanishing of good jobs that paid wages sufficient to feed a family. Most of what I know about Thatcher I learned from watching The Young Ones (thank you, Tim Stotz), or listening to The Clash. I guess I sort of assumed it was just youthful rage, the same kind The Dead Kennedy's were expressing in America about Ronald Reagan cutting school lunches or turning the mentally ill out of institutions. But it was worse for the English. Far worse. So, when I saw how much negative sentiment there was against Thatcher, and how her death seemed to bring out so many bitter and painful memories, I wanted to know more about exactly what she did that was so bad and caused so many people so much suffering. Today I saw a video that encapsulated the suffering rather well. We know The Clash and punk rockers were on about Thatcher, but comedian Russell Brand ? This is a woman who apparently earned every bit of hatred that was spewed back at her this week. All the people who were there who just burst forth this week with spontaneous displays of rage and bitterness towards this woman. Those people weren't grinding political axes. 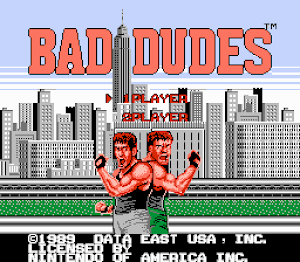 So, there's only one thing we can do here at The Hall of Bad Dudes... welcome our first female member. Welcome to the Hall of Bad Dudes, Margaret Thatcher. And let the dead stay dead.